Fareham Sailing & Motor Boat Club as based at the north west point of the harbour. Gosport Cruising Club is based near the mouth of the harbour on the western side. Hardway Sailing Club is based roughly half way along the western side of the harbour. Hornet Sailing Club is based near the mouth of the harbour on the western side. Lee-on-the-Solent Sailing Club is based west of the harbour entrance. Portchester Sailing Club is based at the north east point of the harbour. Portsmouth Harbour Cruising Club is based roughly half way along the eastern side of the harbour. 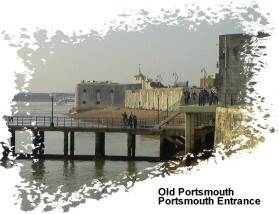 Portsmouth Offshore Group (CSSC/CSSA) is based near the mouth of the harbour on the western side. Portsmouth Sailing Club is based near the mouth of the harbour on the eastern side. Royal Navy Club & Royal Albert Yacht Club is based near the mouth of the harbour on the eastern side. Stamshaw Lake Angling Club is based roughly half way along the eastern side of the harbour. Stokes Bay Sailing Club is based west of the harbour entrance. Tipner Boating & Angling Club is based roughly half way along the eastern side of the harbour. Victory Class Association is based near the mouth of the harbour on the western side. Web: http://www.fsmbcnet.org.uk/ The Boathouse Lower Quay Fareham Hants. PO16 0RA MEMBERSHIP: 450 INTERESTS: Cruising, cruiser & lugger racing. Active social calendar. RYA courses for members inc. first aid, boat handling & survival. SOCIAL ACCESS: Thursday to Sunday evenings plus lunchtime at weekends. The club has an active social calender. Web: http://www.gosportcruising.club/ Weevil Lane Gosport Hants. MEMBERSHIP: 150 INTERESTS: Cruising and social activities. Rallies & barbeques in the summer. Training, first aid courses, the disabled and cadets. SOCIAL ACCESS: Members and their guests. Winter social programme. Web: http://www.hardwaysailingclub.co.uk/ 103 Priory Road Hardway Gosport Hants. PO12 4LF MEMBERSHIP: 600 Families INTERESTS: Cruising and dinghy sailing. Cruiser rallies SOCIAL ACCESS: The club is open Tuesday – Friday from 2000hrs; Saturday – Sunday from 1230hrs. Web: http://www.portchestersc.org/ Waterside Lane Portchester Hants. PO16 9QN MEMBERSHIP: 800 INTERESTS: Cruising, motor boating, angling & dinghy racing. RYA training centre. SOCIAL ACCESS: Wednesday, Thursday & Friday evenings plus weekends. Web: http://www.phcconline.co.uk/ Tipner Lane Stamshaw Portsmouth Hants. PO2 8RD MEMBERSHIP: 145 INTERESTS: Cruising, angling SOCIAL ACCESS: Tuesday evenings 20.00-22.30, Saturday & Sunday 12.00-14.30 for members and accompanied invited guests. 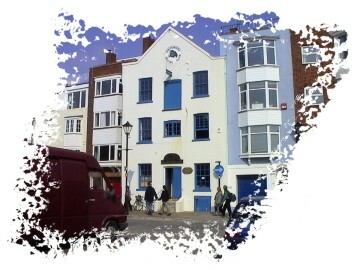 Web: http://www.portsmouthsc.co.uk/ The Old Consulate 21 Bath Square Old Portsmouth Hants. PO1 2JL MEMBERSHIP: 180 INTERESTS: Cruising, cruiser & dinghy racing SOCIAL ACCESS: 20:00 each evening & 12:00 – 15:00 Saturday & Sunday. A lively programme of events. Web: http://www.rnc-rayc.co.uk/ 17 Pembroke Road Portsmouth Hants. PO1 2NT MEMBERSHIP: 480 INTERESTS: Racing / Cruising. SOCIAL ACCESS: Bar open every lunchtime 12.00-3.00pm and Tuesday through Saturday evening from 6.00pm. Food available every lunchtime and some evenings. Booking is recommended. Web: http://stamshawlake-anglingclub.com/ Ranelagh Road Stamshaw Portsmouth Hants. PO2 0ZN MEMBERSHIP: 160 INTERESTS: Angling & boating. The club hold several open fishing competitions during the year. SOCIAL ACCESS: The club house is open evening between 7-11pm. Visitors are made welcome. Web: http://www.stokesbay-sc.co.uk/ The Promenade Stokes Bay Road Gosport Hants. PO12 2BL MEMBERSHIP: 700 INTERESTS: Dinghy & catamaran racing & cruising. SOCIAL ACCESS: Wednesday evenings (Apr-Sep), Friday evening, Saturday & Sunday. 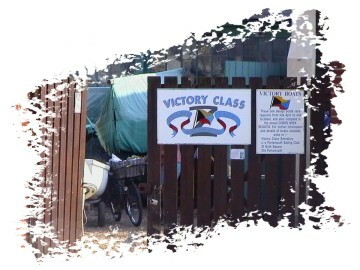 Web: http://www.victoryclass.org.uk/ Contact: Jim Page Seagull Apartment 13A Broad Street Portsmouth PO1 2JD MEMBERSHIP: 100 INTERESTS: Sailing & class racing SOCIAL ACCESS: No club premises. Affiliate membership with Portsmouth Sailing Club.